For years, fat was a four-letter word. We were urged to banish it from our diets whenever possible. We switched to low-fat foods. But the shift didn’t make us healthier, probably because we cut back on healthy fats as well as harmful ones. Your body needs some fat from food. It’s a major source of energy. It helps you absorb some vitamins and minerals. Fat is needed to build cell membranes, the vital exterior of each cell, and the sheaths surrounding nerves. It is essential for blood clotting, muscle movement, and inflammation. For long-term health, some fats are better than others. Good fats include monounsaturated and polyunsaturated fats. Bad ones include industrial-made trans fats. Saturated fats fall somewhere in the middle. All fats have a similar chemical structure: a chain of carbon atoms bonded to hydrogen atoms. What makes one fat different from another is the length and shape of the carbon chain and the number of hydrogen atoms connected to the carbon atoms. Seemingly slight differences in structure translate into crucial differences in form and function. Early in the 20th century, trans fats were found mainly in solid margarines and vegetable shortening. As food makers learned new ways to use partially hydrogenated vegetable oils, they began appearing in everything from commercial cookies and pastries to fast-food French fries. Eating foods rich in trans fats increases the amount of harmful LDL cholesterol in the bloodstream and reduces the amount of beneficial HDL cholesterol. 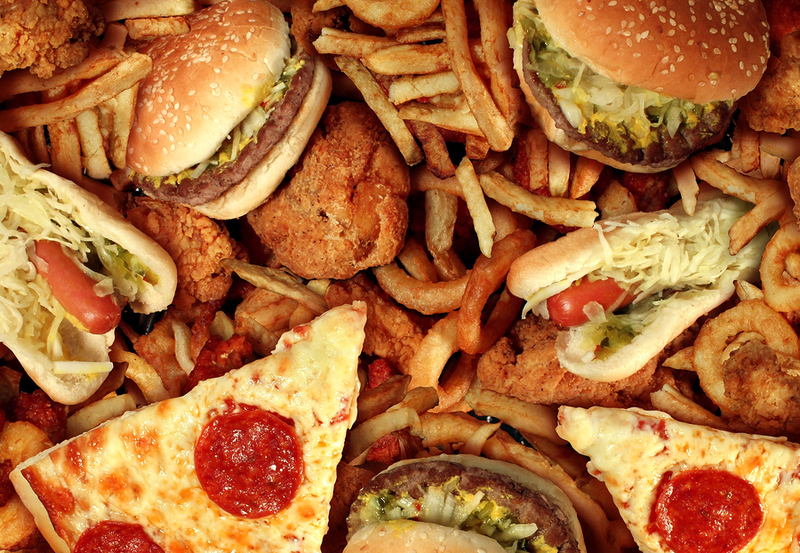 Trans fats create inflammation, which is linked to heart disease, stroke, diabetes, and other chronic conditions. They contribute to insulin resistance, which increases the risk of developing type 2 diabetes. Research from the Harvard School of Public Health and elsewhere indicates that trans fats can harm health in even small amounts: for every 2% of calories from trans fat consumed daily, the risk of heart disease rises by 23%. An expert panel assembled by the Institute of Medicine expert panel concluded that trans fats have no known health benefits and that there is no safe level of consumption. Since 2006, the US Food and Drug Administration (FDA) has required food makers to list trans fat content as a separate line item on food labels. As a result, the food industry has reduced trans fats in many foods, and some local governments have banned trans fats in restaurant foods. Today, these mainly man-made fats are fading from the food supply. Saturated fats are common in the American diet. They are solid at room temperature — think cooled bacon grease. Common sources of saturated fat include red meat, whole milk and other whole-milk dairy foods, cheese, coconut oil, and many commercially prepared baked goods and other foods. The word “saturated” here refers to the number of hydrogen atoms surrounding each carbon atom. The chain of carbon atoms holds as many hydrogen atoms as possible — it’s saturated with hydrogens. A diet rich in saturated fats can drive up total cholesterol, and tip the balance toward more harmful LDL cholesterol, which prompts blockages to form in arteries in the heart and elsewhere in the body. For that reason, most nutrition experts recommend limiting saturated fat to under 10% of calories a day. A handful of recent reports have muddied the link between saturated fat and heart disease. One meta-analysis of 21 studies said that there was not enough evidence to conclude that saturated fat increases the risk of heart disease, but that replacing saturated fat with polyunsaturated fat may indeed reduce risk of heart disease. Two other major studies narrowed the prescription slightly, concluding that replacing saturated fat with polyunsaturated fats like vegetable oils or high-fiber carbohydrates is the best bet for reducing the risk of heart disease, but replacing saturated fat with highly processed carbohydrates could do the opposite. Good fats come mainly from vegetables, nuts, seeds, and fish. They differ from saturated fats by having fewer hydrogen atoms bonded to their carbon chains. Healthy fats are liquid at room temperature, not solid. There are two broad categories of beneficial fats: monounsaturated and polyunsaturated fats. Monounsaturated fats. When you dip your bread in olive oil at an Italian restaurant, you’re getting mostly monounsaturated fat. Monounsaturated fats have a single carbon-to-carbon double bond. The result is that it has two fewer hydrogen atoms than a saturated fat and a bend at the double bond. This structure keeps monounsaturated fats liquid at room temperature. Good sources of monounsaturated fats are olive oil, peanut oil, canola oil, avocados, and most nuts, as well as high-oleic safflower and sunflower oils. The discovery that monounsaturated fat could be healthful came from the Seven Countries Study during the 1960s. It revealed that people in Greece and other parts of the Mediterranean region enjoyed a low rate of heart disease despite a high-fat diet. The main fat in their diet, though, was not the saturated animal fat common in countries with higher rates of heart disease. It was olive oil, which contains mainly monounsaturated fat. This finding produced a surge of interest in olive oil and the “Mediterranean diet,” a style of eating regarded as a healthful choice today. Although there’s no recommended daily intake of monounsaturated fats, the Institute of Medicine recommends using them as much as possible along with polyunsaturated fats to replace saturated and trans fats. Polyunsaturated fats. When you pour liquid cooking oil into a pan, there’s a good chance you’re using polyunsaturated fat. Corn oil, sunflower oil, and safflower oil are common examples. Polyunsaturated fats are essential fats. That means they’re required for normal body functions but your body can’t make them. So you must get them from food. Polyunsaturated fats are used to build cell membranes and the covering of nerves. They are needed for blood clotting, muscle movement, and inflammation. A polyunsaturated fat has two or more double bonds in its carbon chain. There are two main types of polyunsaturated fats: omega-3 fatty acids and omega-6 fatty acids. The numbers refer to the distance between the beginning of the carbon chain and the first double bond. Both types offer health benefits. 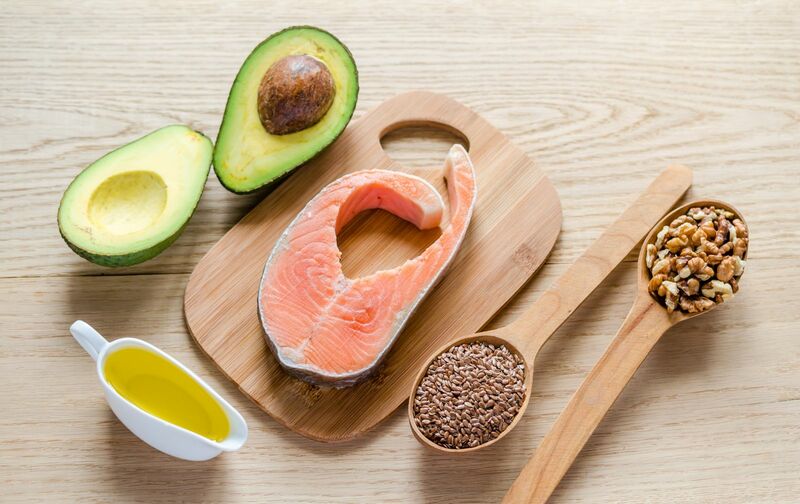 Eating polyunsaturated fats in place of saturated fats or highly refined carbohydrates reduces harmful LDL cholesterol and improves the cholesterol profile. It also lowers triglycerides. Good sources of omega-3 fatty acids include fatty fish such as salmon, mackerel, and sardines, flaxseeds, walnuts, canola oil, and unhydrogenated soybean oil. Omega-6 fatty acids have also been linked to protection against heart disease. Foods rich in linoleic acid and other omega-6 fatty acids include vegetable oils such as safflower, soybean, sunflower, walnut, and corn oils.